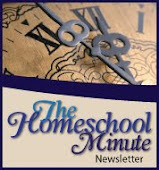 The Faithful Homeschool: Homeschool Convention or Bust! 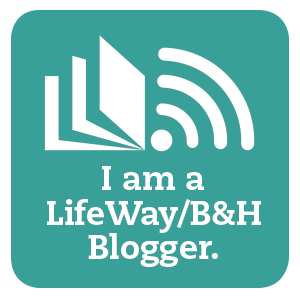 I am sure that many who read this blog will have attended a homeschooling convention at one time or another in their lives. But for those of you who haven't... you must find when your area will be hosting one and attend! At least if it is anything like ours was. 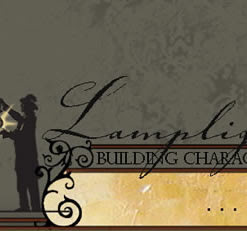 Our keynote speakers were Lorrie Flem of TEACH magazine and Mark Hamby of Lamplighter Ministries. Through the two and a half day convention I found myself spiritually uplifted as I was encouraged forward with my walk in: domestic issues, homeschooling, mothering, wifery, and (most importantly) spiritual devotion and time with God. We have had a rough year and a half in our household. I have lost sight of what matters most in life... God. I have lost sight of what is dearest to me under God... my family. I have lost sight of the importance of my role in this house. Lorrie and Mark did an AMAZING job of not only encouraging all the attributes of women in my position, but of also encouraging us to take that time with God each day. To remember the 'job' HE has blessed us with and how important we are within it. don't want to jump in. I praise God for conferences like this one, for people like Mark Hamby and Lorrie Flem and I pray for them and their ministries... that they may touch other lives as deeply as they have touched mine with the few short days I was blessed by their leadership. Thank you! I appreciate your kudos :-) Sorry to hear cyberspace can be so monsterous!